Virgil van Dijk has spoken out amid Liverpool’s temperate Premier League title battle with Manchester City. The high-flying Dutchman has been outstanding in his first full season with the Reds – so much so I think he should win the PFA Player of the Year award. The league table shows Jurgen Klopp’s men in first place; two points ahead of City, but, don’t forget, the reigning champions do have a game in hand. Big Virgil has now expressed his confidence in Liverpool’s ability to deliver silverware this season. 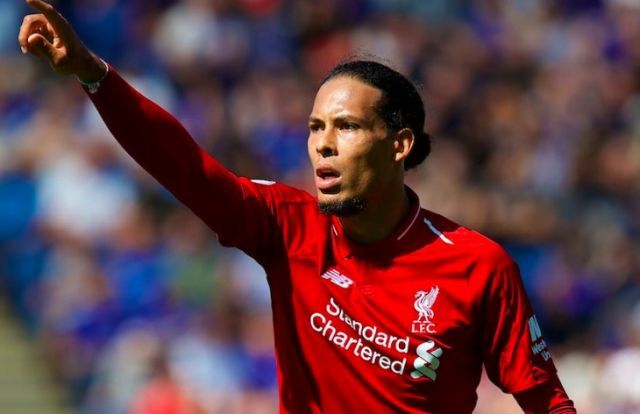 “I want to achieve everything that is possible in football and not have any regrets when I retire,” he’s quoted as saying by the Liverpool Echo. “My dream is obviously to win trophies with Liverpool because Liverpool deserve trophies. The club, the fans, the players we have, we deserve it. But obviously you still need to do it on the pitch. The Reds are also into the quarter finals of the Champions League and will have to surpass Porto to be among the last four clubs. It’s been seven years since Steven Gerrard lifted the League Cup and fans are dying to see us lift another piece of silverware – especially after reaching three finals in four years.